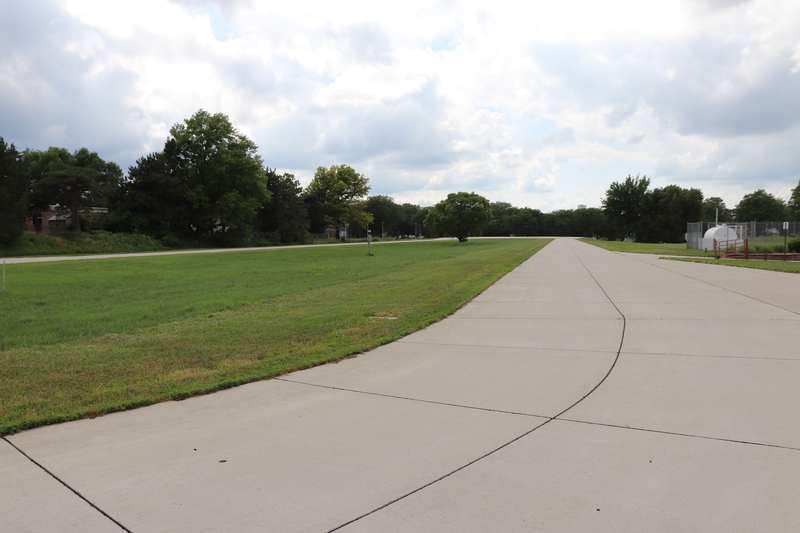 A few weeks ago, I set off to visit two new states – Nebraska and Iowa. Although most folks associate these midwestern states with nothing but farmland and cornfields, I wanted to see what really was out there, as well as to just get a deeper understanding of our country’s backbone. My first stop on this three-day trip was to Lincoln, the capital city of Nebraska. Although the city’s roots started with settlers arriving in the mid-1800s, Native Americans had occupied the area for thousands of years. After the passage of the Homestead Act in 1862, more people began to inhabit this new village. In 1869, the City of Lincoln was incorporated, named after President Abraham Lincoln. Today, Lincoln is home to over 280,000 people and is the second most populated city in the state. The first place I checked out was the Nebraska State Capitol. 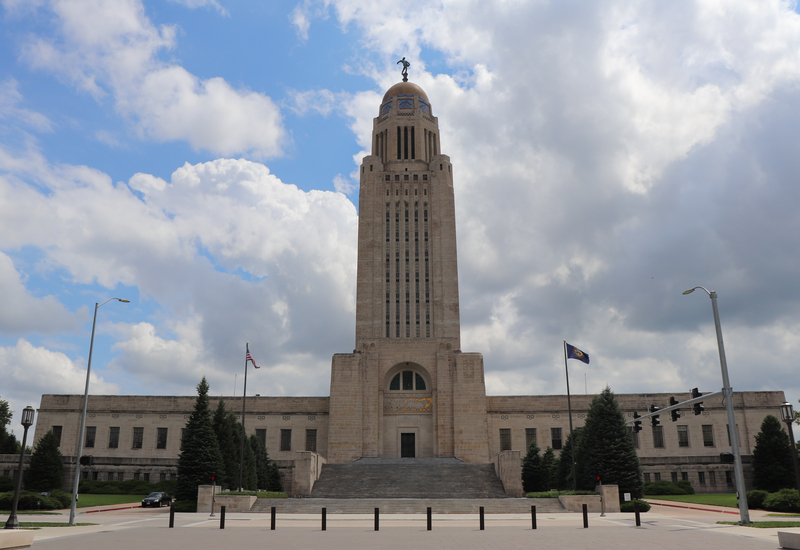 Completed in 1932 and rising 400 feet into the Midwestern sky, it is the second tallest capitol building in the country. The interior of this building was nothing but grand. It felt like I was walking into a historic church or castle of some kind tucked away in Europe. One of the places I enjoyed seeing here was the observation deck, located on the 14th floor! Free and open to the public, you can get some great views of Lincoln. Looking out at Lincoln and the University of Nebraska from the 14th floor observation deck of the Nebraska State Capitol! 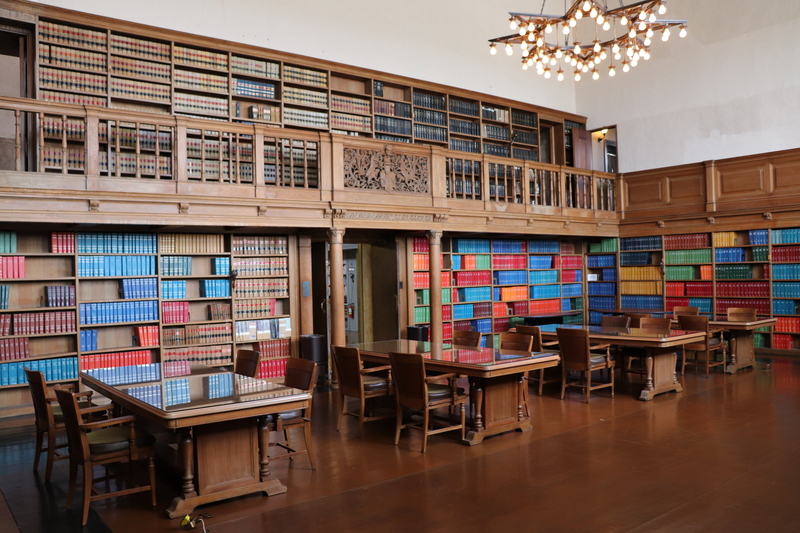 The state library was also open, and it contained an abundance of books spread out across two floors. Something that I hadn’t seen elsewhere were these handheld reading lamps! Fully functional, they looked like they could belong in an antique store. 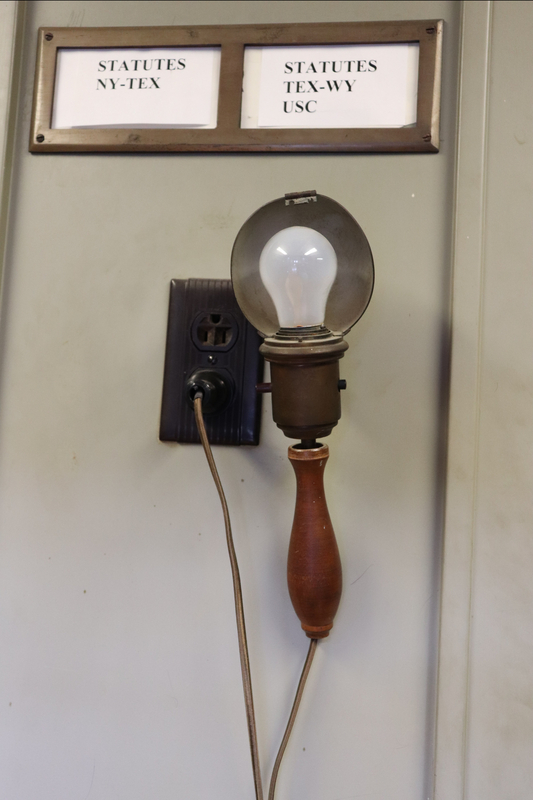 I could see these lamps being handy, especially back in the day when the lighting was dim. Quite a few of these were installed throughout the library. 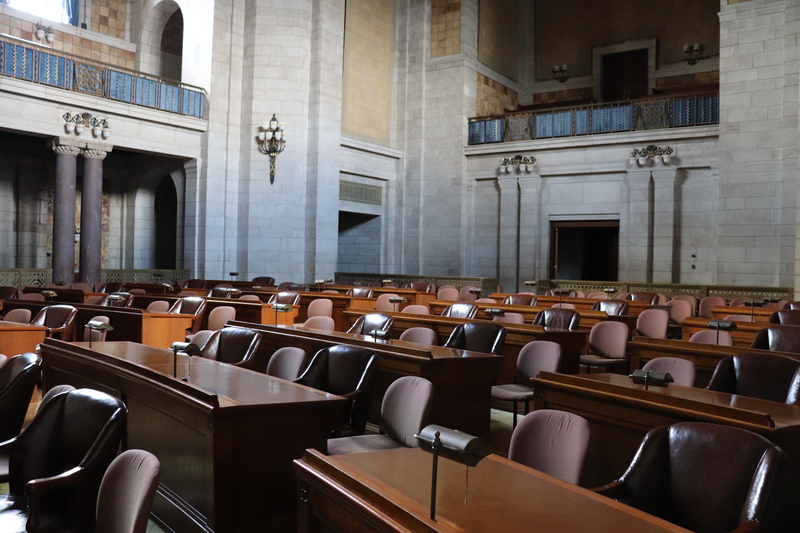 No visit to a state capitol would be complete without checking out the legislative chambers. 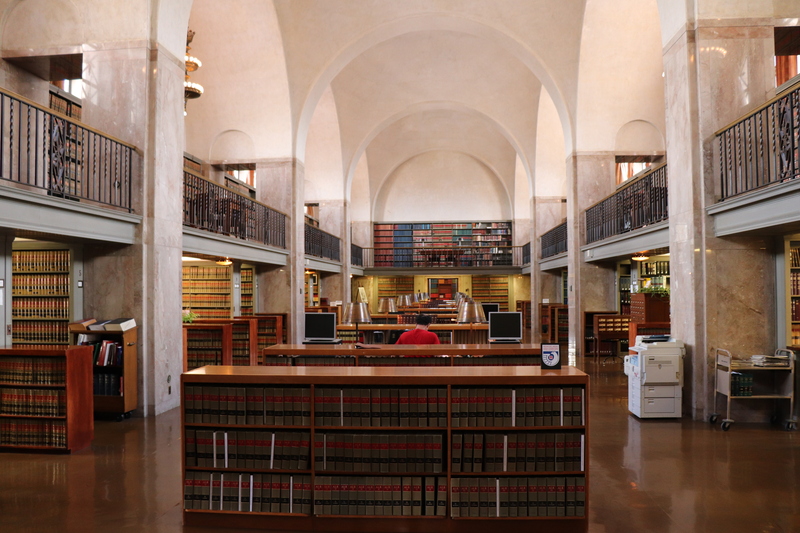 I was surprised to hear that although there are two chambers, only one was being actively used, since Nebraska only has one legislative body! 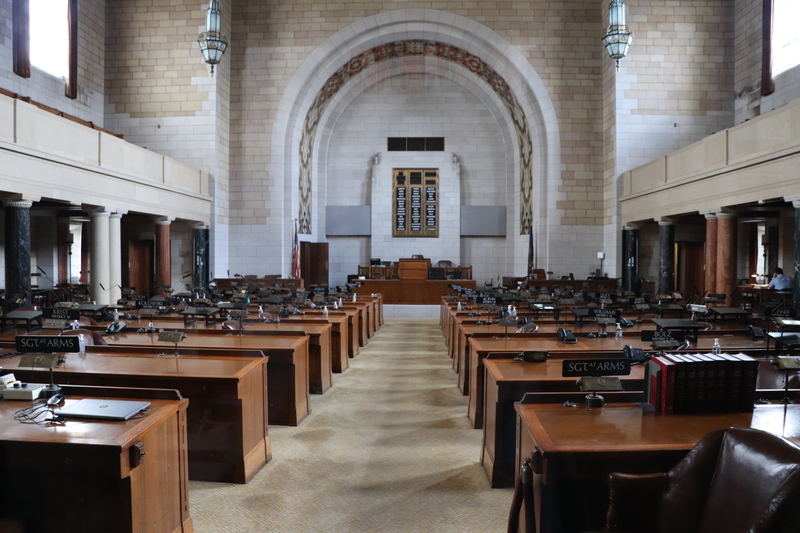 This unicameral setup is the only one of its kind in the nation. The west chamber(the one in use) happened to be closed, but I was able to peer in and take a look. 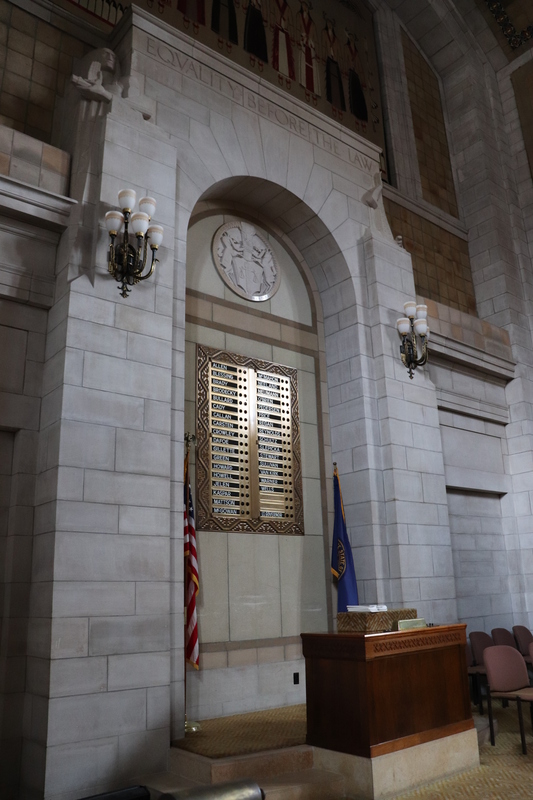 I was able to go inside the east chamber, used until the start of the unicameral system in 1937 and since closed-off. Much like the rest of the building, the design of this room didn’t disappoint! The other legislative chamber, which hasn’t been used since 1937. In total, I spent about two hours here, in which I explored the majority of the building. 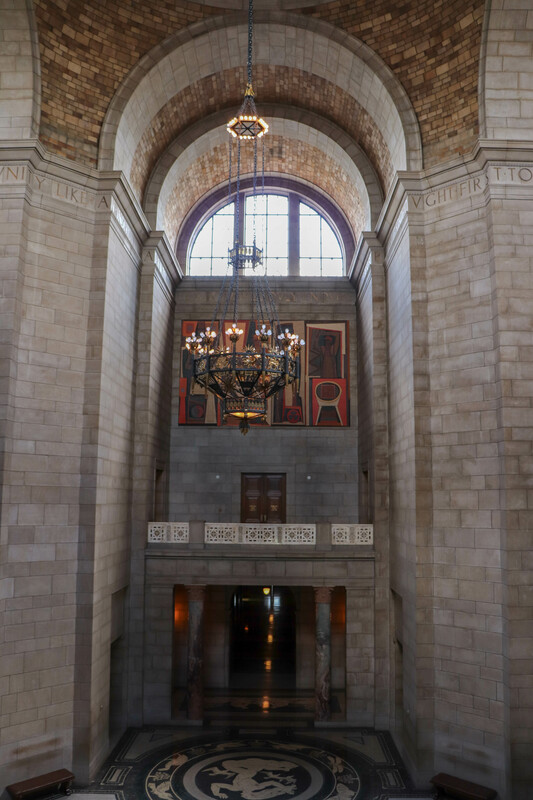 Although many states have some gorgeous designs when it comes to their capitols, the combination of tile ceilings, marble floors, and murals make this one of the most beautiful ones I’ve seen to date! My next stop fit right in with the state’s reputation for agriculture: The Larsen Tractor Test and Power Museum. 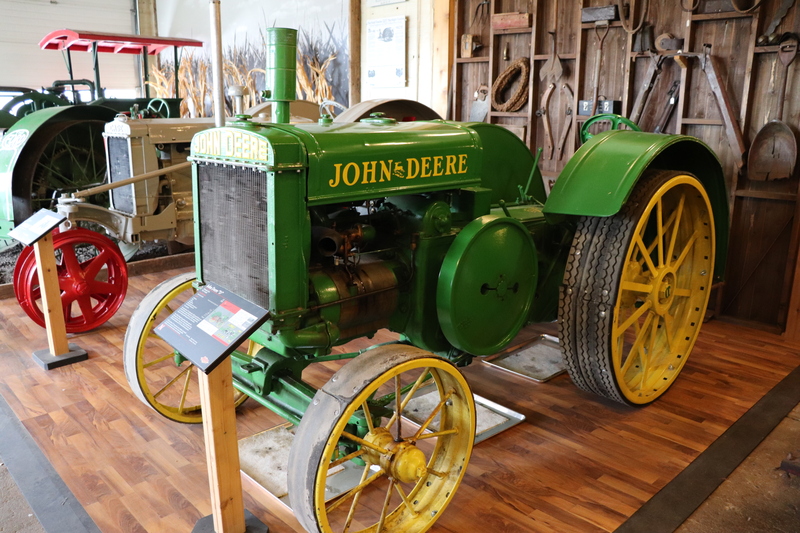 One of the many tractors on display here. 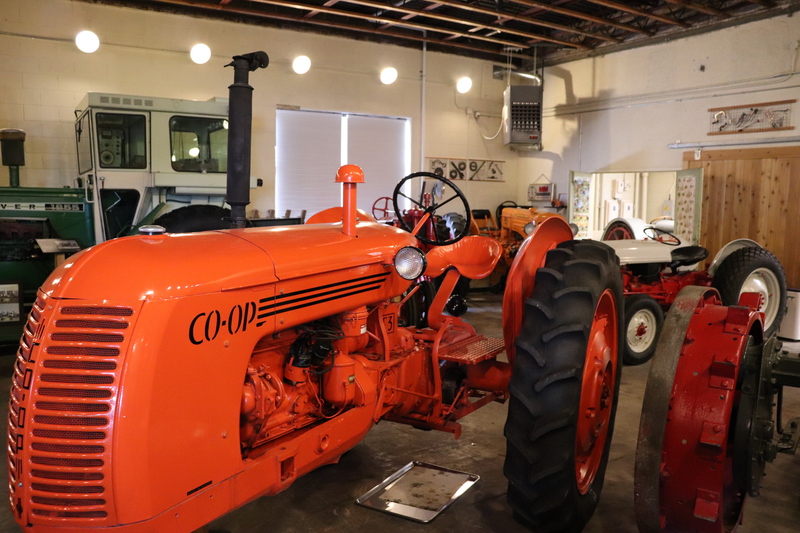 Part of the University of Nebraska-Lincoln’s East Campus, this museum showcases various tractors from history. 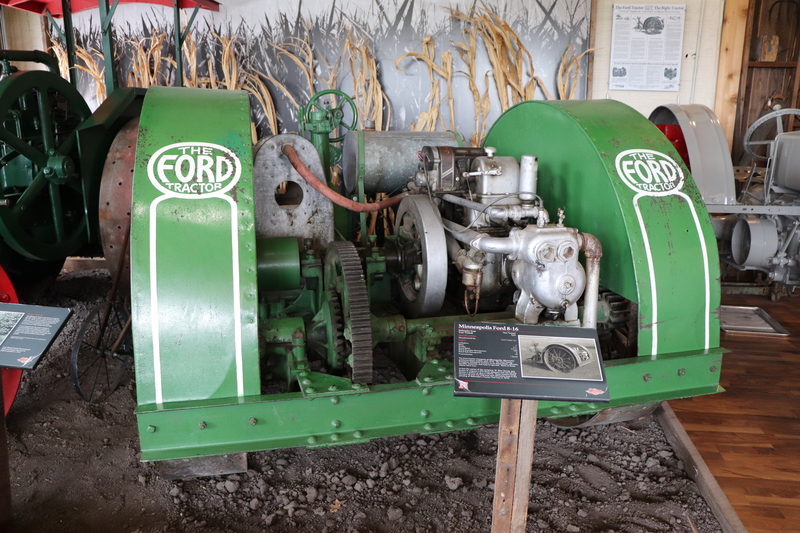 Several different rooms and displays talk about the various brands and models of these enormous machines. Admission is free, although donations are accepted. Here’s a fun fact: all tractors sold in Nebraska must be tested to ensure that rated performance claimed by the manufacturer checks out, and the testing is done right here! 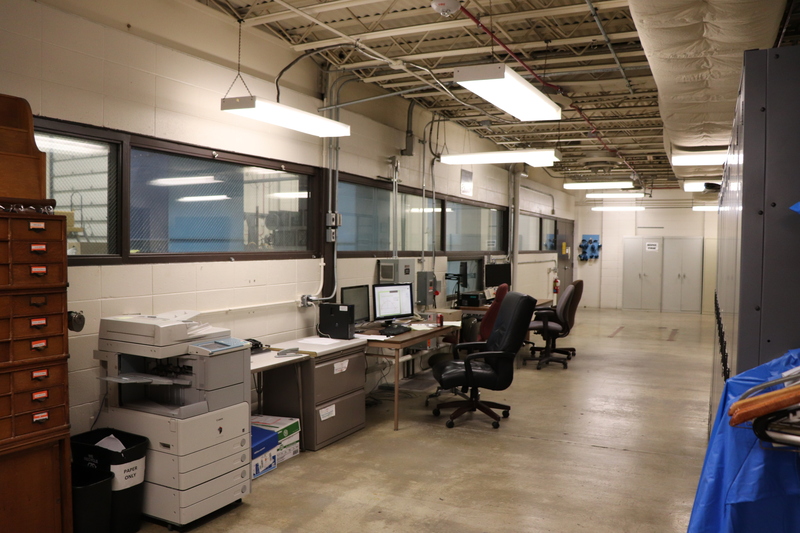 Up until 1980, testing was done in this building. Right next door was the current facility, which museum volunteer Don was gracious enough to show me around. Don explained that testing is the ultimate example of consumer protection. Testing serves to ensure that if you buy a tractor with the Nebraska numbers on it, you can rest easy knowing that performance will be what the manufacturer claims it is. 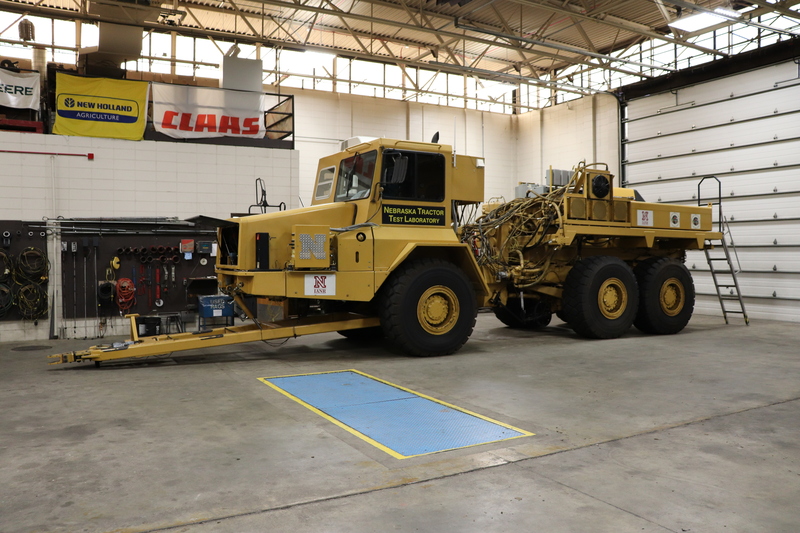 Various machines are used to complete the testing process, such as this big truck, which simulates a load. Right outside the shop was the testing track. Here, various benchmarks are performed in an area with ample space. Prior to me stopping in, I had no idea of this important measure that serves to protect our farmers and agricultural industry. Both the tour and the museum were nice! 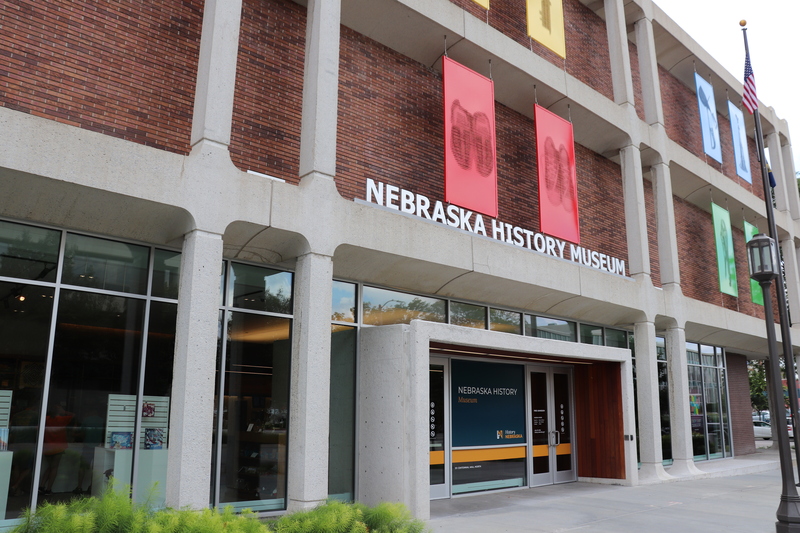 The next stop was to the Nebraska History Museum, which exhibited different items related to the state’s history. When I went, there was construction going on inside, and therefore only one floor was open. 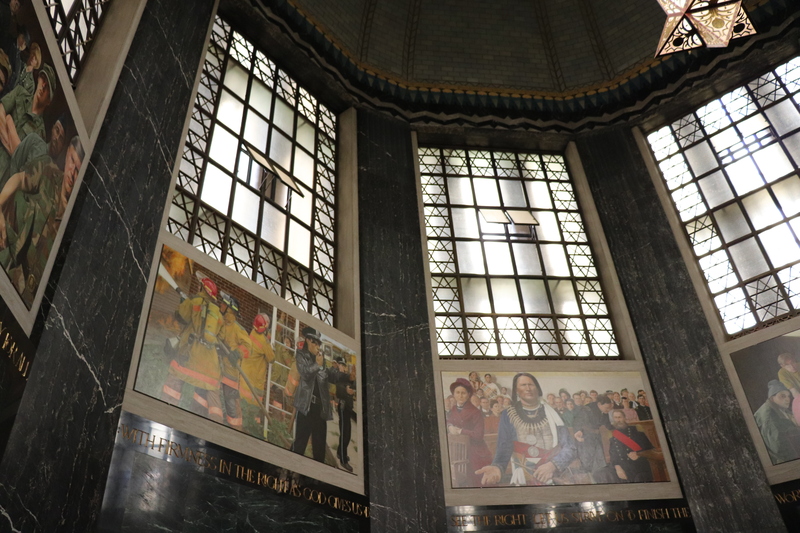 That floor had photos on display from the early days of the state, to different historical documents and artifacts. 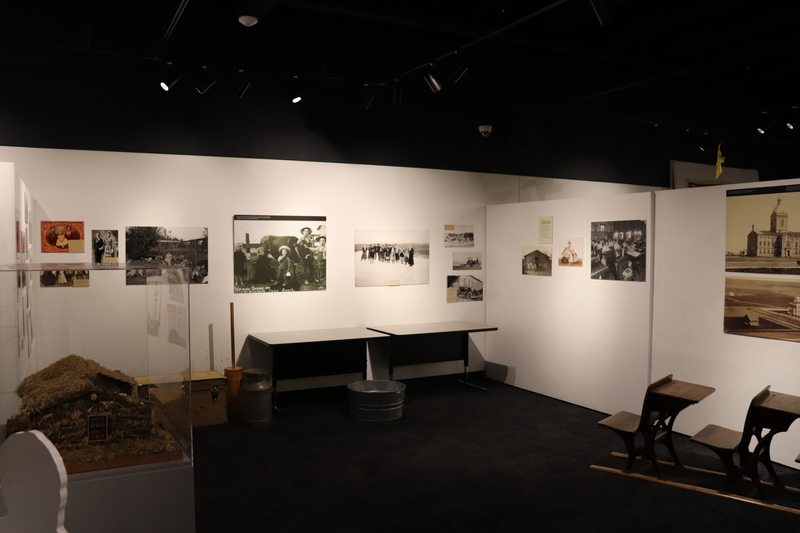 Different photos and items depict the history of this state. A windmill wheel used for many years. 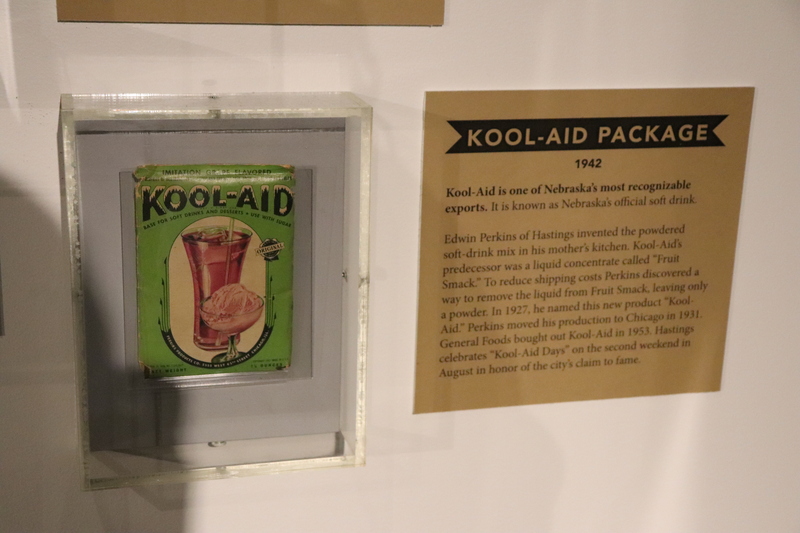 Did you know Kool-Aid got its start in Nebraska? I didn’t! This famous drink got its start here in the Cornhusker State. What I saw here was great in terms of being detailed and informative, and the best part is that there was no admission fee! I didn’t spot any free parking, and had to spend around a dollar at a covered garage about two blocks away. After dinner was the last stop here in town, the University of Nebraska- Lincoln. 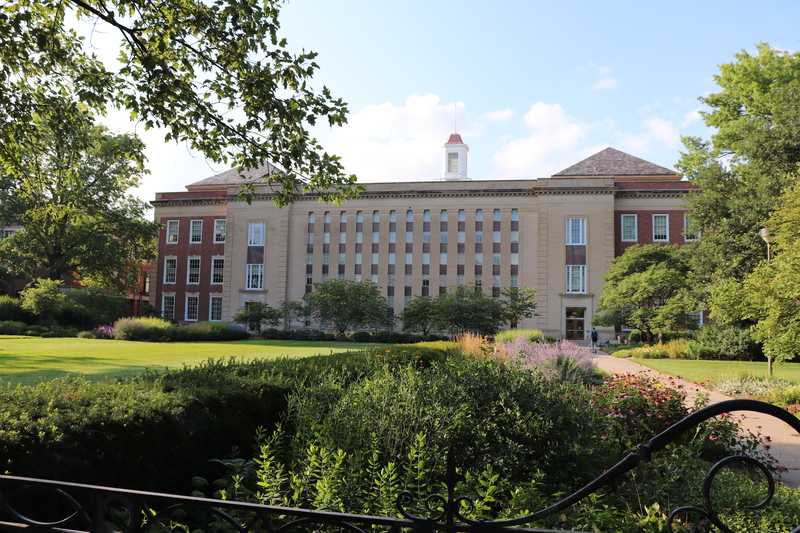 The main campus of the University of Nebraska system, this huge 613-acre school was chartered as a land-grant university in 1869. Over 25,000 students call this place home. A major athletics program exists here as well. 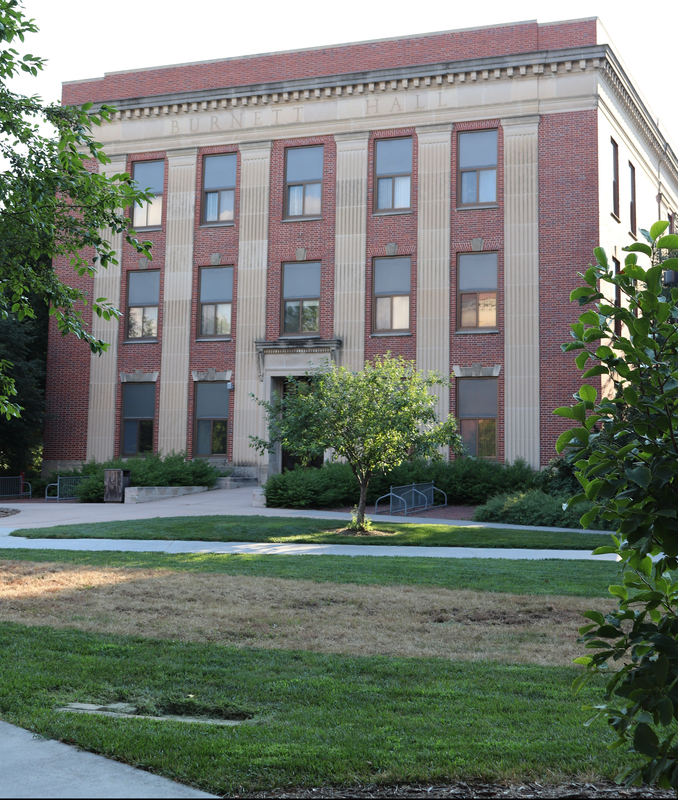 One of the first buildings I came across entering UNL. Checking out many of the buildings that make up their campus, I found that they all looked to be maintained very well. I’m sure quite a few of these halls have dated back many decades, but the exterior and interior upkeep seemed superb. 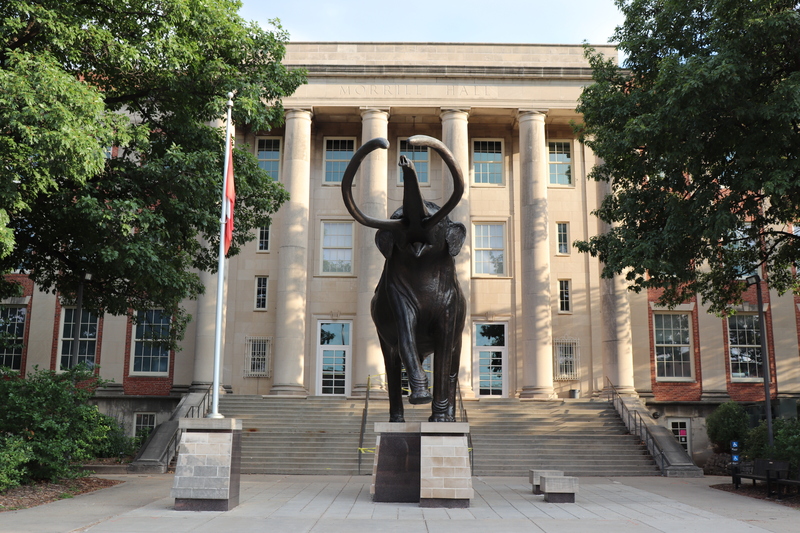 Although the architecture wasn’t nearly as nice as that of Ole’ Miss, the campus as a whole very much still had that traditional university feel to it. 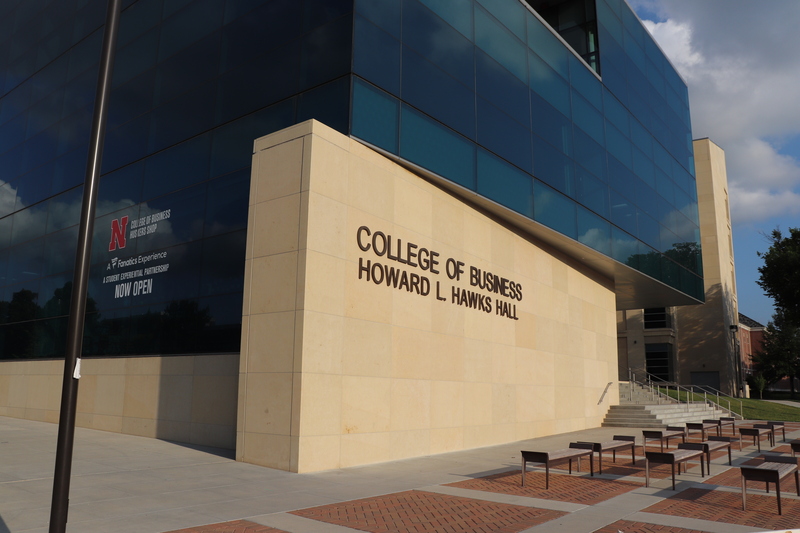 I only saw a few new buildings, one of which was the Howard L. Hawks Hall, home to the College of Business. 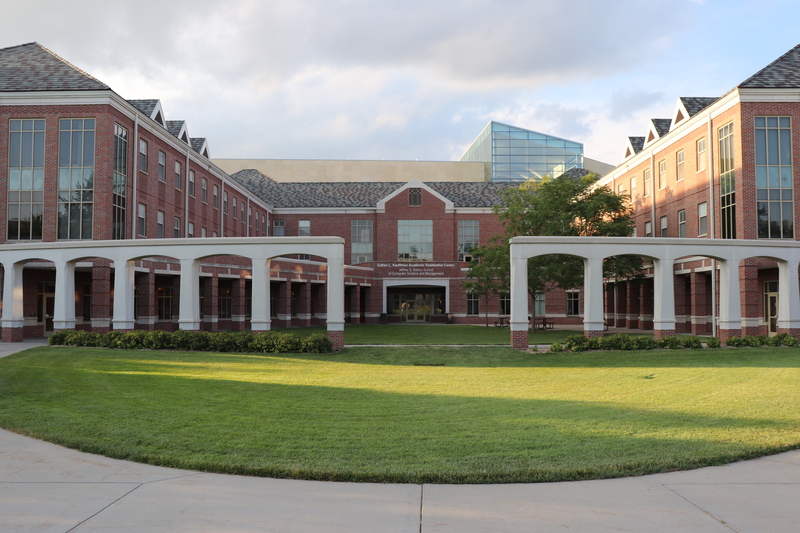 The College of Business building. 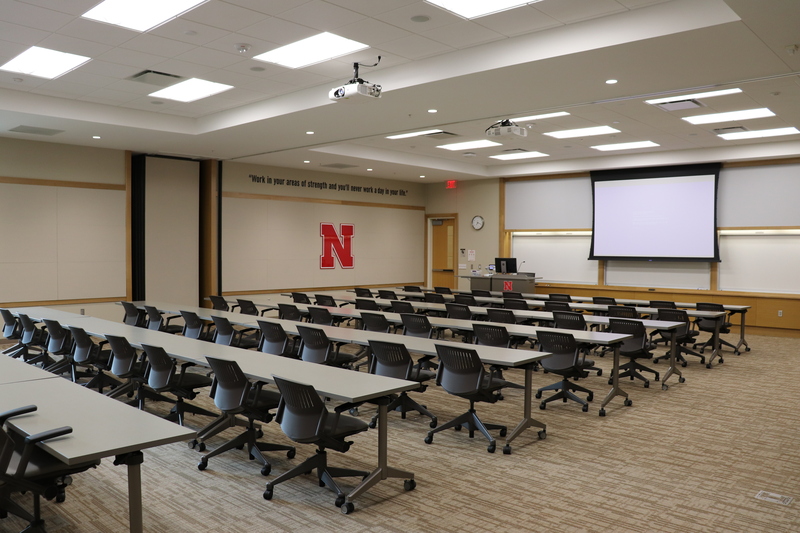 The classrooms in here looked like a great environment to learn in, and had all the modern technology one would expect for a university of this caliber. Inspirational quotes from famous people were on the wall of each room I went into. A classroom inside the business building. 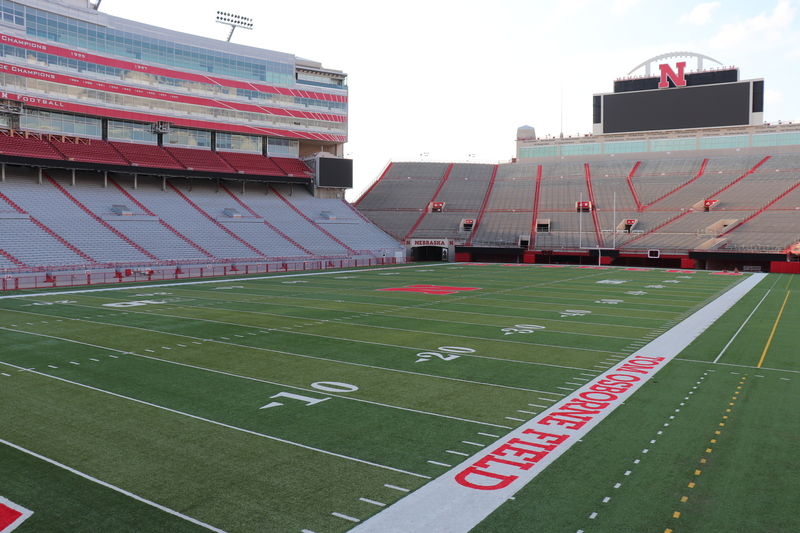 If you think their classrooms are nice, wait until you take a look at their football stadium! 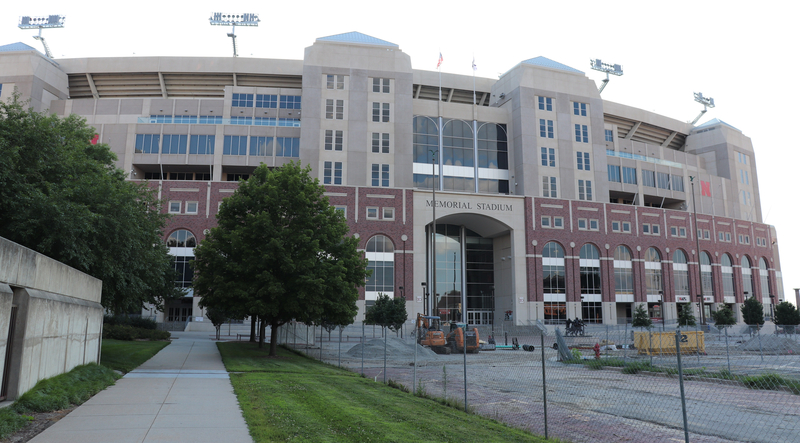 Memorial Stadium, on the edge of campus, is one of the largest collegiate stadiums I’ve seen to date. Almost indistinguishable from an NFL stadium in my opinion, there were various seating levels, ranging from your standard bleachers all the way up to suites on the top floor. In total, this place is capable of seating over 85,000 people. I had heard about UNL only once or twice before, and it was nice seeing the school in person. 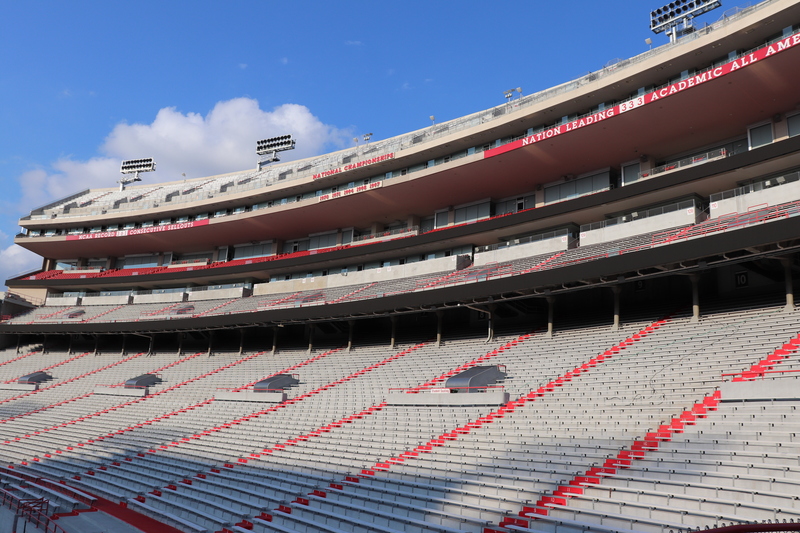 I knew their football program was pretty big, but it seems like academically speaking, the school has many programs and offerings the Cornhuskers can be a part of. 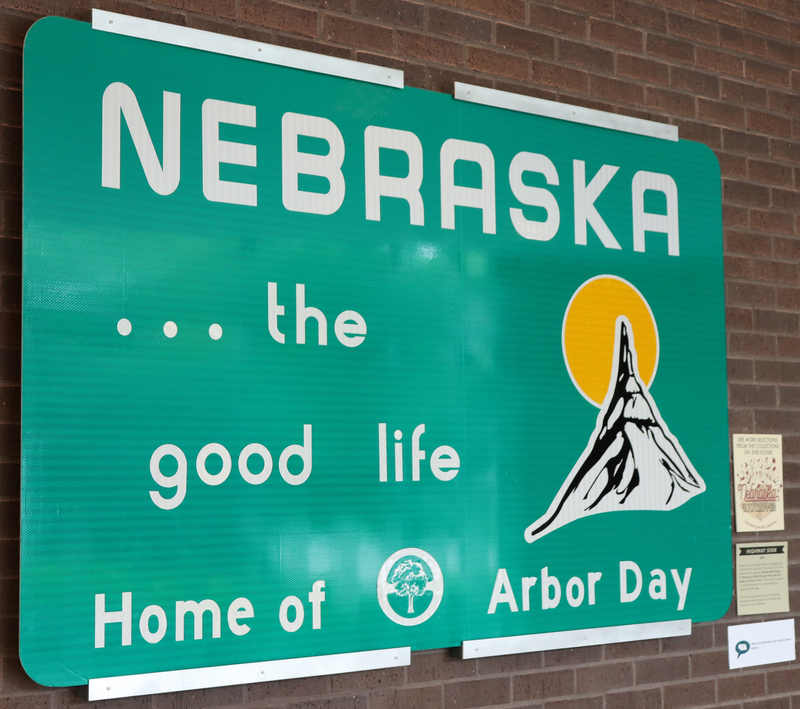 Lincoln as a whole was pretty good, and I felt like my first day in Nebraska was well-spent. Out of all the places I saw here, I spent the most time at the Capitol – and I could have easily stayed another half-hour checking out the building in true detail. 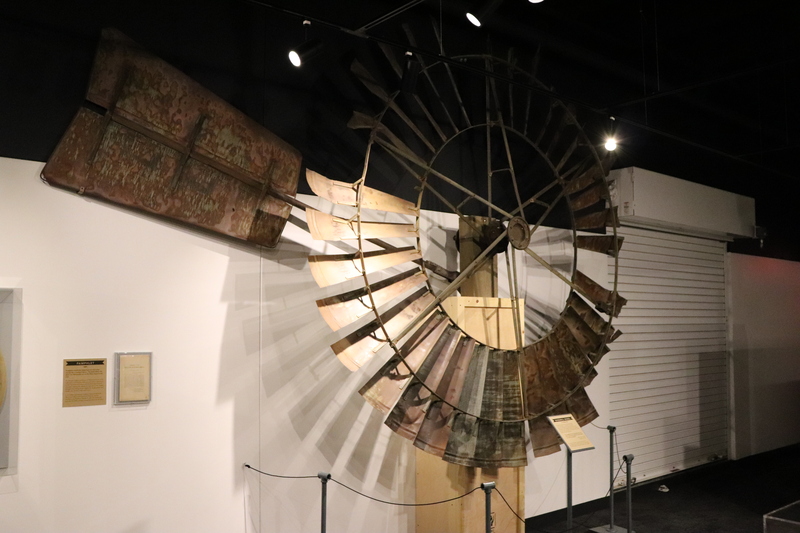 One could argue that there just isn’t much to do here, but if you are looking for a well-rounded introduction to the Cornhusker State, visiting this city will do the trick. My first day in one of the least-visited states in the country went well! I love posts that focus on little known travel destinations. Nebraska is on my list too! It’s a nice state, and shouldn’t be the least visited state in the country! Granted, one could argue that it’s not as exciting as California or New York, but places like here are the true backbone of the country. Happy travels! I live in Texas and it will take me another lifetime to see all of it! What great city we live in! Think about all the hard work that has been put forth for us to live in this beautiful area. Thanks for the write up!